The citywide Dallas Arts Week event heads into its final five days of celebration, while another multi-day art event is ready to begin nearby Museum Tower Dallas. The Preview Gala for the sixth annual Dallas Art Fair is set to be held at Fashion Industry Gallery tomorrow night, Thursday, April 10. Located on Ross Avenue, Museum Tower residents planning to attend can enjoy the vibrant Dallas Arts District sights as they make the simple stroll to the gala. The Preview Gala is an exclusive opportunity for patrons and Dallas' top art collectors to preview and purchase works before the Dallas Art Fair's public opening at 11:00 a.m. on Friday, April 11. The gala also benefits three museums in the Arts District. This year's Dallas Art Fair welcomes over 90 exhibitors, spanning the geographic spectrum. Works from the following Dallas galleries will be on display: Barry Whistler Gallery, Conduit Gallery, Ro2 Art, Cris Worley Fine Arts, Galleri Urbane Marfa + Dallas, RE Gallery, Talley Dunn Gallery and Valley House Gallery & Sculpture House. 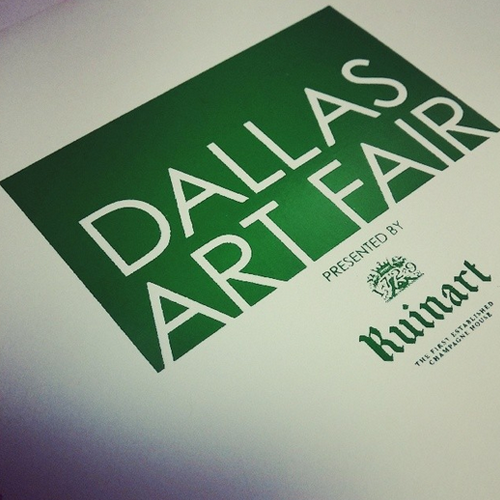 The Dallas Art Fair is a three-day event from Friday, April 11 until Sunday, April 13. Tickets to tomorrow's Preview Gala may be purchased online in addition to several varying options for Dallas Art Fair passes. Museum Tower's 24/7 concierge is ready to make these arrangements for Museum Tower residents.